The Salomon X Pro 100 Ski Boot is a top-seller every year, because of the technology it provides and the customizable fit it allows. The Twinframe2 design provides dynamic flex, meaning the boot gives a more forgiving performance when you're cruising a blue run, but still provides rapid response when you're charging down a black diamond. The Custom 360® Shell and My CustomFit 3D Liner are fully customizable too, making it simple for bootfitters to shape the entire boot to provide you with the best fit possible from day one. "is the boot shell heat moldable?" "Thank you for your inquiry. 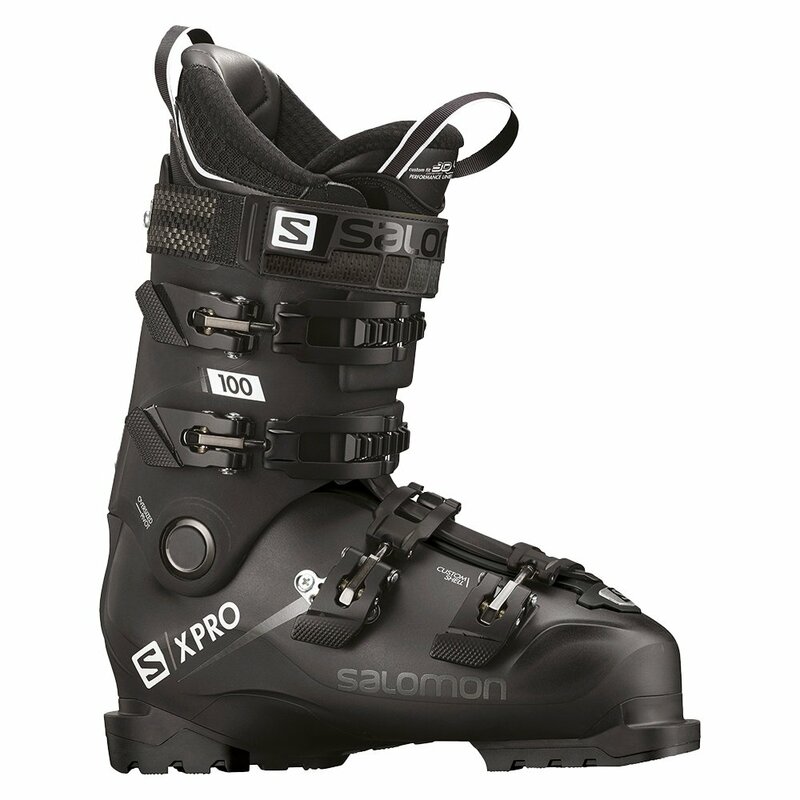 The Salomon X Pro 100 Ski Boot has a CustomFit 3D Liner, which is heat moldable for a custom fit. We hope this information helps! " "Can the custom fit be extended to 106mm?" "Thank you for your inquiry. Yes, per the manufacturer the custom fit can be extended to 106mm. We hope this answer helps with your Peter Glenn selection and purchase." "Is this the 2019 model?" "Thank you for your inquiry. The Salomon X Pro 100 Ski Boot is the 2018 winter season. We hope this information helps! "